An interesting book for decision makers. 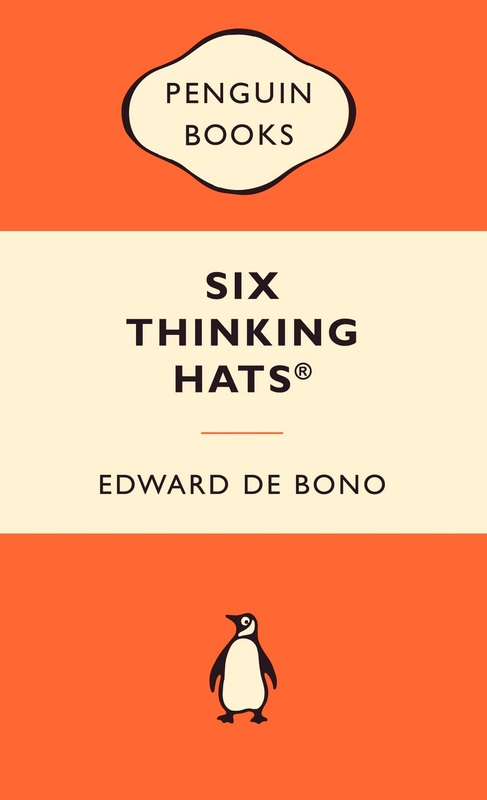 Edward de Bono makes a great statement through the technique of 6 Thinking Hats which is quite practical for all decision makers at different levels. Edward as a founder of the school of Lateral Thinking provides solutions for many of the problems managers face in their day-to-day decisions and take lot of time in deciding. This book is a must read for them as it helps reduce time and encourages participation of all members in the process. The colors of different hats signify their importance and relevance and it becomes easier to remember and use them alternatively. The caution that these hats must not be used at one time by one person rather at one time only one hat should be used by all and then they should switch over to other hats accordingly which convinces the practitioners as it reduces confusion and brings out clarity. People can give their feedback on creativity (green hat), information and data (white), result and benefit (yellow), emotion (red), negative impact (black) and summarize (blue) the inputs and take necessary actions. Apart from using these hats in meetings for decision making, the technique is also useful for an individual as one can look at an issue from these 6 angles separately and then analyse and make decision. I suggest this book to all the students of management, to the decision makers and other managers.